This 2007 55? 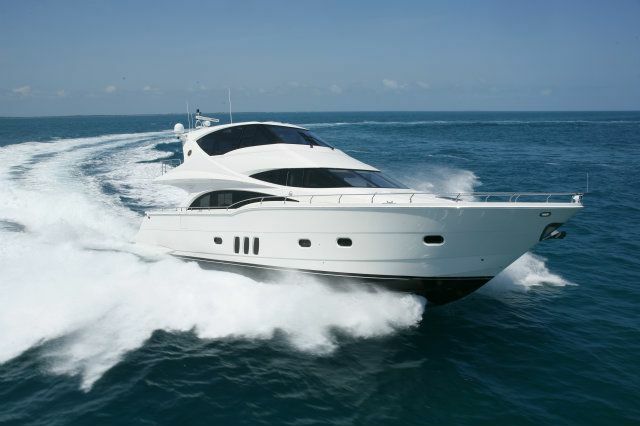 Marquis is the perfect size cruising yacht with more space than you would ever expect from a boat this size. From the swim platform to the bow pulpit and throughout the vessel, Marquis has built a 55' yacht with room to live and entertain. 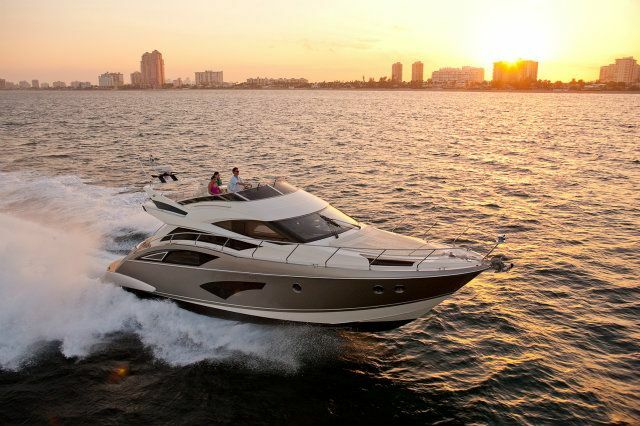 The Marquis 55 LS (called the 560 since 2009) is marketed as a blend of Italian styling and American craftsmanship. True enough: the design work was done in Venice, Italy, by Novolari-Lenard, and all Marquis yachts?a division of Carver Yachts?are built in Pulaski, Wisconsin. Introduced in 2007, the 55 LS is an appealing and well-constructed motoryacht whose graceful lines stand in dramatic contrast to Carver?s usual slab-sided designs. 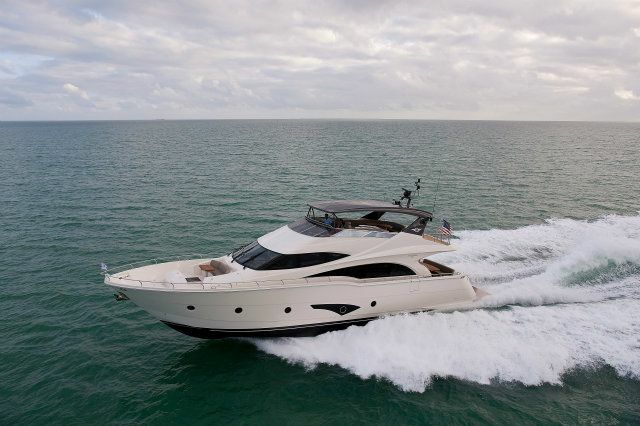 Her spacious and richly appointed interior is similar in layout to many other motoryachts her size, with a full-beam salon, home-size galley and dedicated dinette forward, and three staterooms and two heads on the lower level. Note that the guest head is split with the shower to port and toilet to starboard. 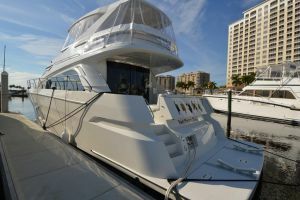 The flybridge can be reached from interior steps or a staircase in the cockpit, and a watertight door in transom opens to a spacious lazarette and engine room. The flybridge is designed to entertain with a full wet bar, electric grill, ice maker and refrigerator. There is also seating and a table aft. The full helm with retractable instrument panel and a sun pad forward. A fully enclosed and air conditioned bridge for year-round comfort. 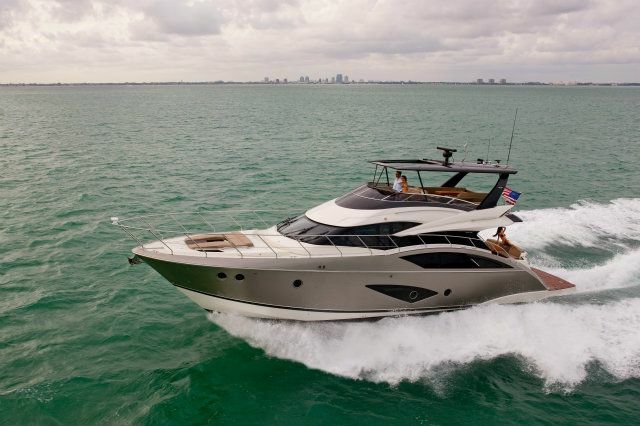 Additional features include bow and stern thrusters, Yacht Commander controller ($15K), hardwood flooring, 5 cameras covering all views, and more. Volvo D12 715hp diesels cruise the Marquis in the low 20s (27?28 knots top). Meticulouslymaintained with many optional upgrades. BRIDGE: self-draining Electronics arch: custom aluminum w/acrylic polyurethane surface coating & UV protection Electronics arch access plates: corrosion-resistant polymer attached w/non- corroding screws & waterproof sealant Forward & port sun pads Lights: courtesy, recessed Lounge: double wide, starboard side, w/storage beneath Lounge, L-shaped: port side, accommodates 5 adults, w/storage beneath Self-draining walk surface, Upgraded Stereo speakers and helm control: pre- wired Wet bar: self-draining sink, w/pressure cold water, storage beneath. Jenn aire Grill. SAFETY & NAVIGATION: Anodes: zinc, sacrificial Battery master disconnect switches Battery restraint brackets & boxes Bilge alarm (high water) Bilge blowers (12V) Bilge pumps (3): 2000 gph each, auto/manual operation Bronze valves for all underwater thru-hulls CO detectors insalon & staterooms Compass, flush-mount: illuminated Engine alarms: temperature & oil pressure Fire suppression system: automatic, FE241 (FM200 in European Community) Galvanic isolator/zinc saver Horn: dual, air (12V), trumpet Internal bonding system Isolation transformers on the internal shore power lines Molded nonskid surfaces on all walk decks: diamond pattern Navigation lights: USCG/ COL REG approved Spotlight Transom docking lights Windlass package: w/anchor & associated ground tackle.. All lines & Fenders.